I travel frequently for work and I have a dog, Max. Together they actually pose one common challenge. Having a dog requires time and commitment, and although I wouldn’t change it for the world, it can be difficult monitoring Max while I’m away even though he has a pet sitter or stays with family. Most importantly, I always want to ensure that Max is fed regularly while I’m away. It’s important that he stays on his regular feeding schedule. If you don’t travel frequently, perhaps you work long hours or go for lengthy hikes on the weekends. If this is the case, you’ll want to feed your pet on the same schedule as if you were at home. What is a Smart Pet Feeder? A smart pet feeder allows you to schedule and manage feeding times, portion sizes, and food supply for your pets. Smart pet feeders are controllable on your smartphones and computers so you can still be able to feed your pet while you’re away. Most pet feeders come with a camera so you can visually check your pet too. Being a pet parent demands responsibility. Looking after your pet on top of work, personal errands, and family time is quite difficult. Smart Pet Feeders change the game. 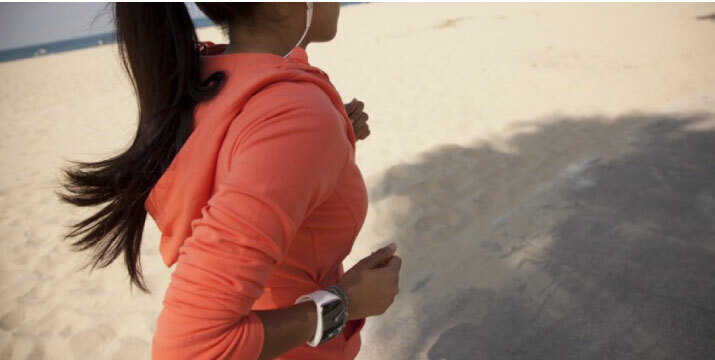 It allows pet owners to still check on their pets and feed them whenever they’re at work or out for a short vacation. Setting up smart pet feeders is easy. 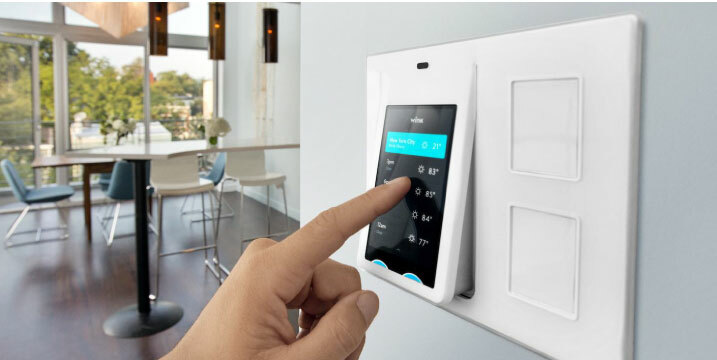 All you have to do is plug them in, sync with your smartphone, and push a few buttons to set it up on the mode that you want. 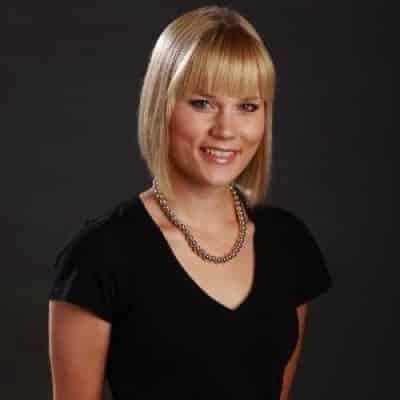 Most users have said that they didn’t have a hard time setting up one on their reviews. One usually costs from $150 to $350. It’s pretty reasonable. Anything that makes your fur babies happy is worth it, right? As I was embarking on my quest to find such feeders, I compiled my top 6 products that not only work for me, they also work so well for Max. These pet feeders allow me to connect with my dog while I’m away from home, while keeping a close eye on his feeding schedule and overall consumption. Below are the top 7 best smart pet feeders that are on the market now. Need to leave your pets at home again? Too bad. If they don’t get hungry, they’d probably stuffing themselves with food if you leave a hill-like bunch of dog food. Good thing there’s a pet feeder that lets you control the feed portions. It’s the PetSafe SmartFeed. 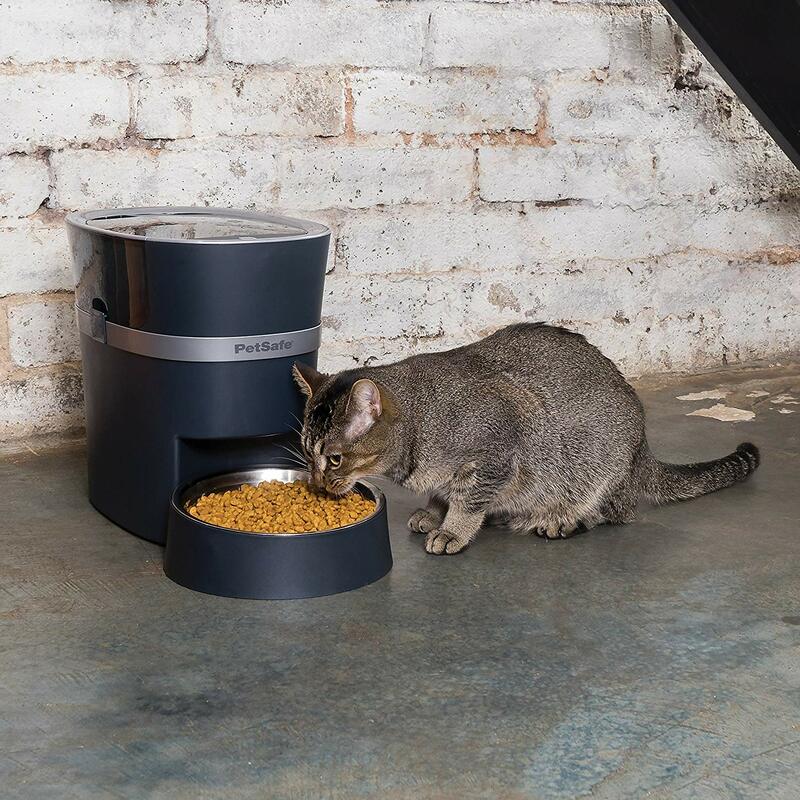 This automatic dog and cat feeder lets you set up to 12 meals to feed your pets on a schedule. Portions are flexible. You can dispense anywhere between 1/8 cups to 4 cups, depending on your pet’s feeding needs. You can also manually let out a portion with the “Feed Now” option. Get peace of mind every time as notifications come in of your feeding dispense has been successful or not. In an event of a Wi-Fi interruption or offline feeder, you will be notified so you can do the appropriate action. If your pet has health-related concerns like hypoglycemia wherein they need to eat a certain amount of food every 3 hours or so, PetSafe SmartFeed would be perfect for you. Its conveyor belt design is also compatible with dry and semi-moist food so you can have options. Plus, the design won’t allow for those sneaky pets who claw in their way to extra food servings. The Petcube is a solid choice because you can use it for a couple things. At a glance, it looks like a simple pet camera, nothing more, but it actually doubles as a pet toy – one that is of great interest to cats. 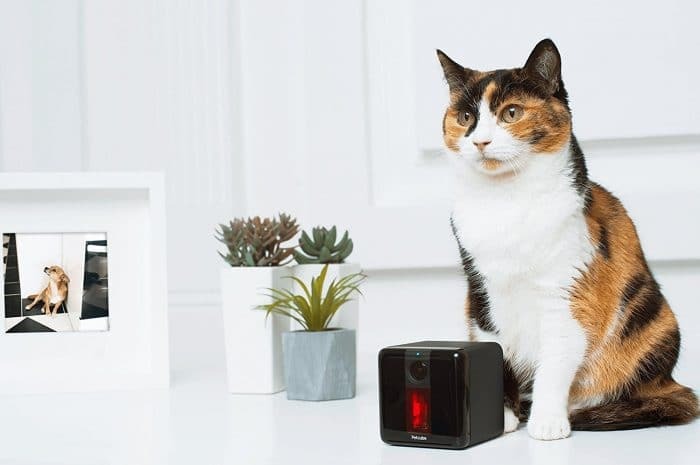 It is an interactive pet camera that lets you watch, talk to, and play with your pets from your smartphone while you’re away. 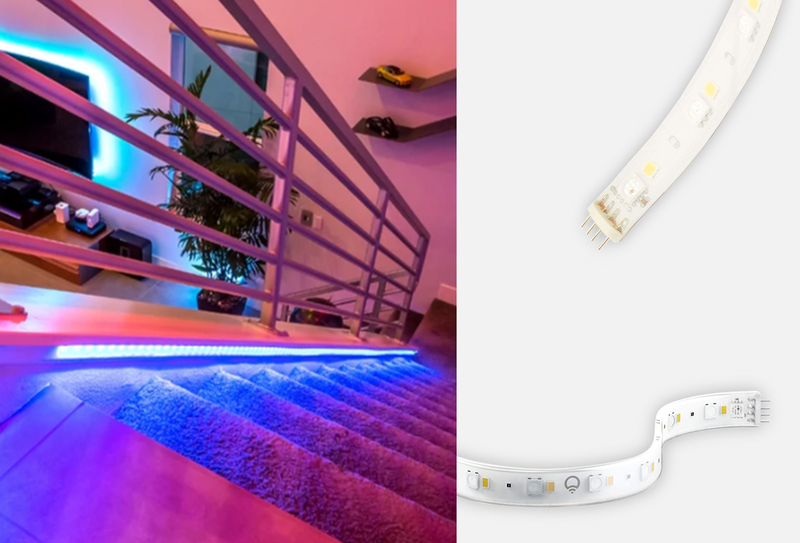 It has a built-in laser pointer, so you can entertain — or terrorize — your furry family members! 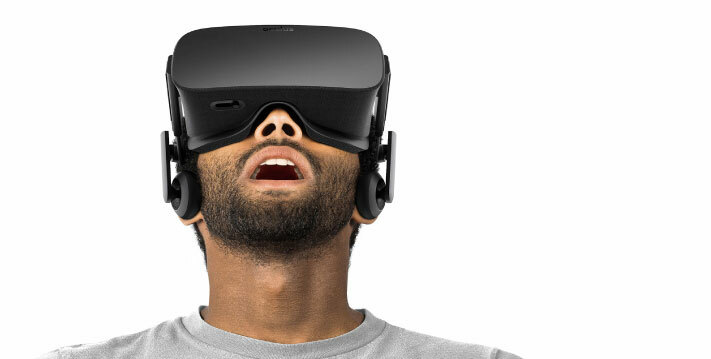 You can also check-in on them through a 1080p HD live-video feed, which captures a decent area thanks to its wide-angle lens. If you know you won’t have time to check on your furry buds yourself, you can provide access to family and friends too. This way, there are multiple people remote petsitting at once. Yes, we totally just made that phrase up — remote petsitting. Has a great ring to it, right? This is ideal if you travel often, because it allows you to both monitor and play with your cat — or dog — from anywhere. For those who suffer from separation anxiety from pets — like I do — the Petcube should be top choice. The Petnet SmartFeeder is ideal for pet owners who are concerned about their pet’s overall health and nutrition. The SmartFeeder promises to help manage feeding times, overall portion sizes, ingredients and more. This is all done through the associated app, as it measures portions based on your pet’s breed, age, weight, and level of activity. This means that through your Wi-Fi connected device, your pet will be eating the right amount of food every time. Plus, you get a free trial of Smart Delivery upon purchase. Get your pet food delivered to your home. No more scrambling to the grocery store when you realized that your pet’s food is running low. For us pet owners who have busy days, and are frequently away from home, it’s more important than ever to ensure that our pets are receiving the appropriate amount of food in their bowls even when we’re away. This product was selected for its custom portion sizes – all determined through the smartphone app! It’s perfect for pet owners who are monitoring overall health and nutrition, which is so important especially as your pet gets older. 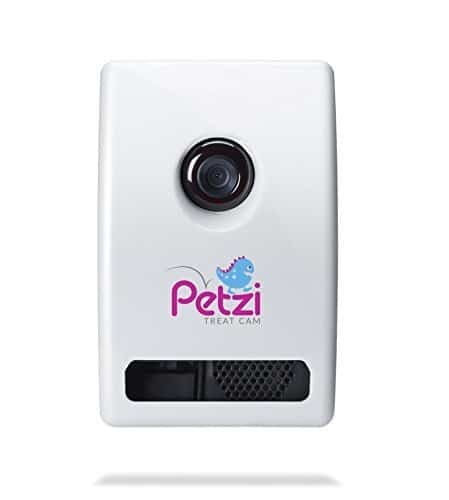 The Petzi Treat Cam is a remote treat dispenser and camera that allows you to connect with your pet while you’re away. 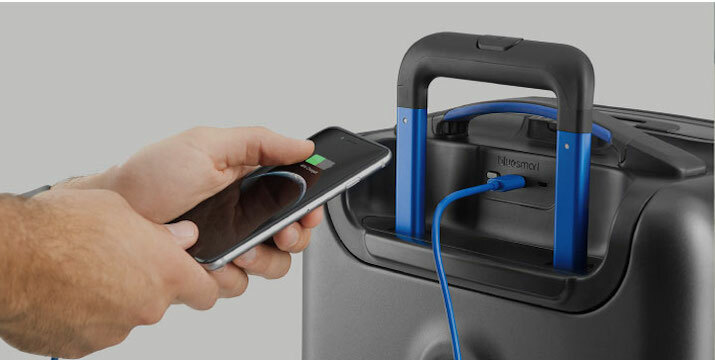 Originally funded on Indiegogo, this product is connected through your smartphone or tablet. With a tap of the app, you can see, speak, snap or give treats to your little (or big) fur baby. A great feature of this product is that you can also snap photos of your pet through the app. 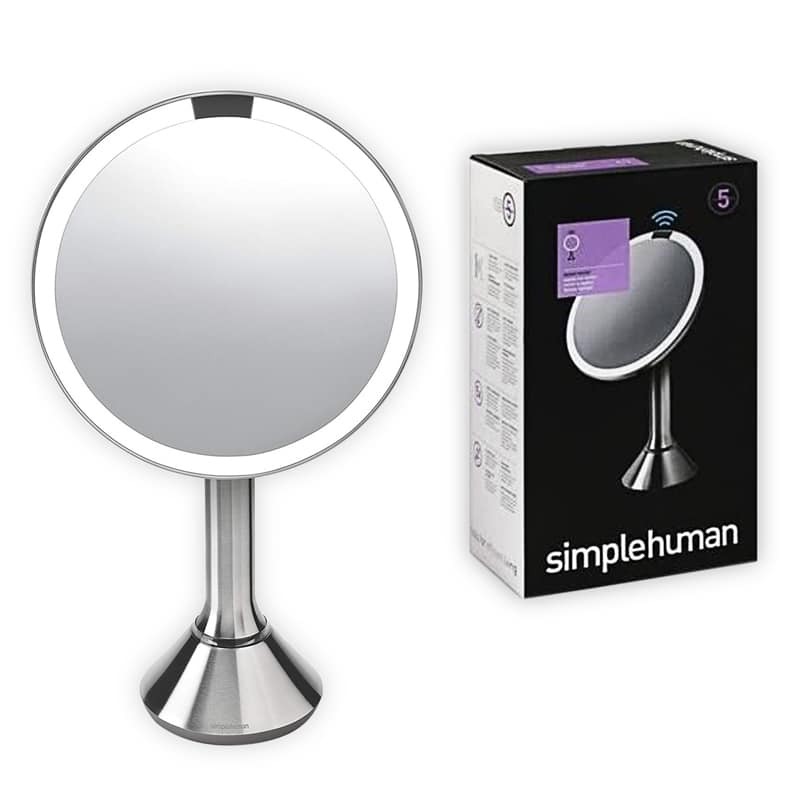 I was particularly drawn to this product because of the high ratings. With over 270 reviews on Amazon and 4.5 stars, users love the Petzi Treat Cam. 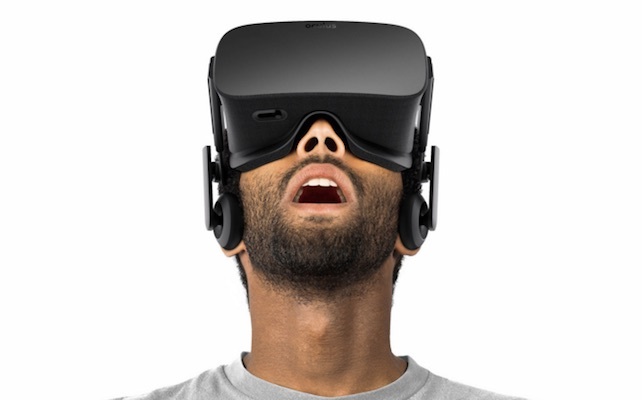 It is reliable, offers great video quality (720p) and works exactly as promised. 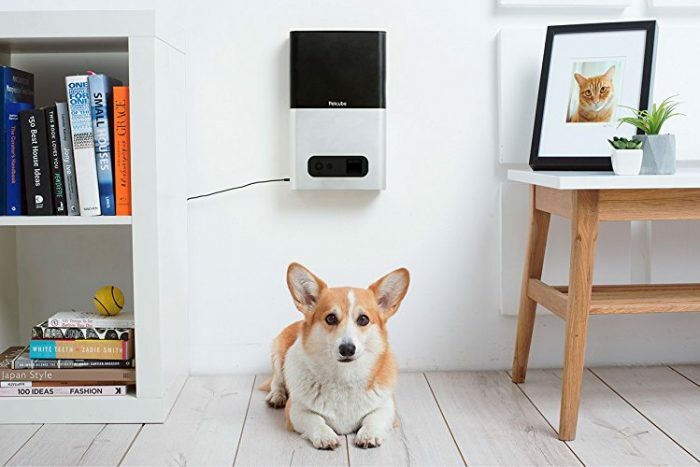 This is the go-to, selected product for pet owners who will rely on a connected device while they’re away from home – and want to dispense treats for their pets. I placed this product in our number one spot because of its reliability; as a pet owner, I want to know that I can always rely on the products I’m using and, according to online reviews, it’s clear that I could rely on the Petzi Treat Cam. Bonus: This product also has a unique social network for users called ‘Petzi’, so you can share your pet’s images with other users. 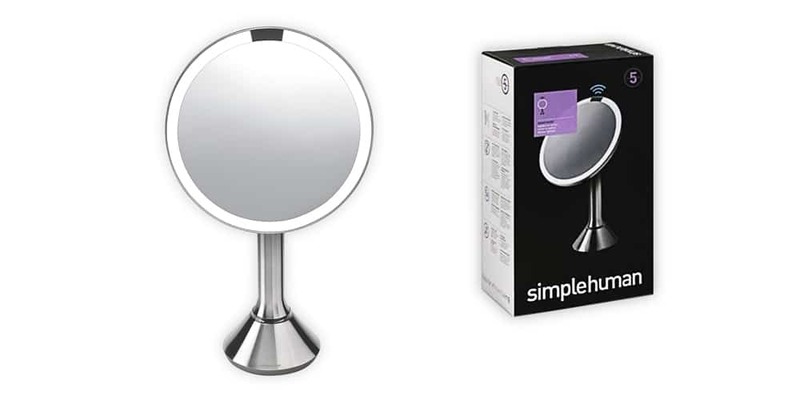 If you have a large home where you need to see details, or you just want to see your pet in 1080p HD, the Petcube Bites Pet Camera is the perfect smart pet feeder for you. It can hold up to two pounds of food, and can fling treats in adjustable distances so that you can have fun with your pet through your phone. It’s perfect for someone who wants to really feel like they’re at home with their pet. What really sells this pet-camera for me is the HD camera and wide viewing angle. 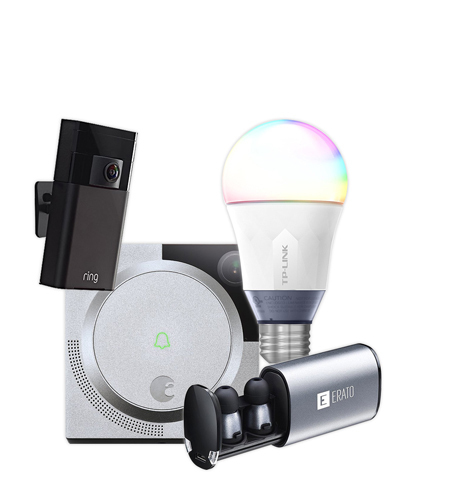 Many of the other devices in this article have the same features for dispensing food and phone connectivity, but this one has the best video quality. Perhaps you’re traveling for the day from San Fran to Los Angeles and you’ll be back in the evening. Your dog loves to eat, so you need to keep his bowl filled to the brim. Perfect. 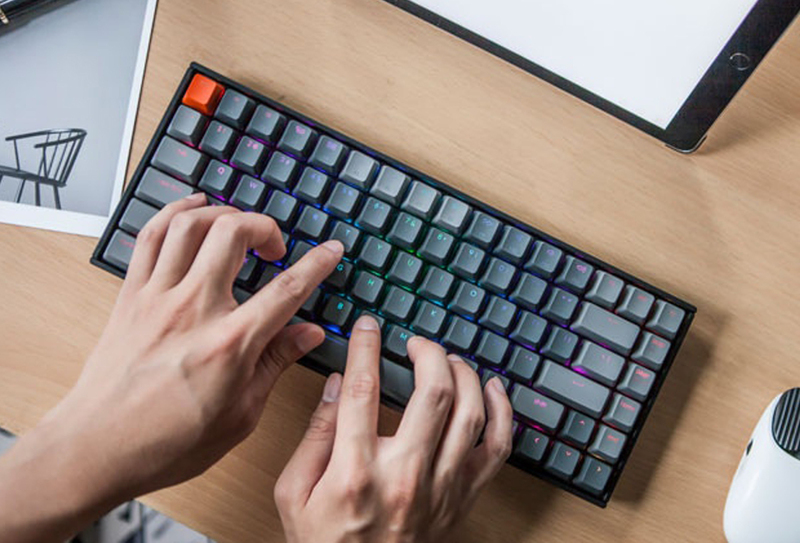 Enter, the GemPet Smartfeeder. With this smart product, you can control your pet’s feeding from your smartphone. Using Wi-Fi, you can leave your little Buddy food when he needs it, as he needs it. Bonus: there is an offline mode that I absolutely love. It’s a huge bonus for travelers who aren’t connected while in the air. Should your plane’s Wi-Fi go down (gasp…it’s happened to all of us, hasn’t it?) you can rest assured knowing that your pet will still be fed on time and with the appropriate amount. The offline mode distributes food based on a predetermined schedule, so your pet will never go hungry. The GemPet SmartFeeder is a great option for pet owners who want to ensure they can distribute food to their pet throughout the day, even if they’re away from home. 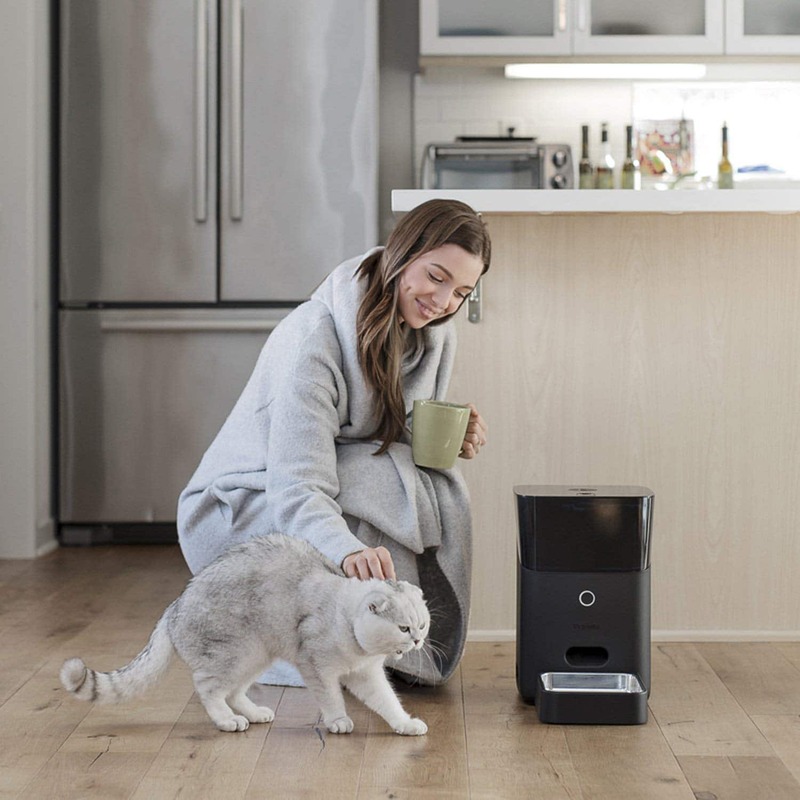 It offers all of the essentials that you would look for in a smart pet feeder and boasts reliable connectivity between the smartphone app and the product. And if you aren’t connected, the offline mode will save the day in the event of a connectivity emergency. 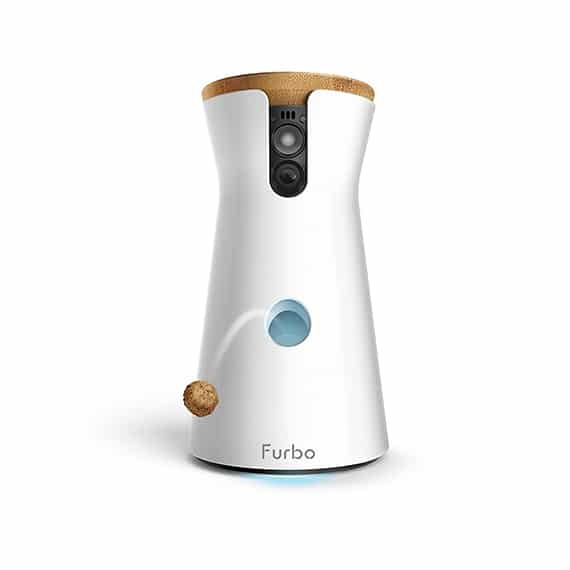 The Furbo Treat-Tossing Dog Camera is perfect for pet owners who want everything from their product – and I mean everything. 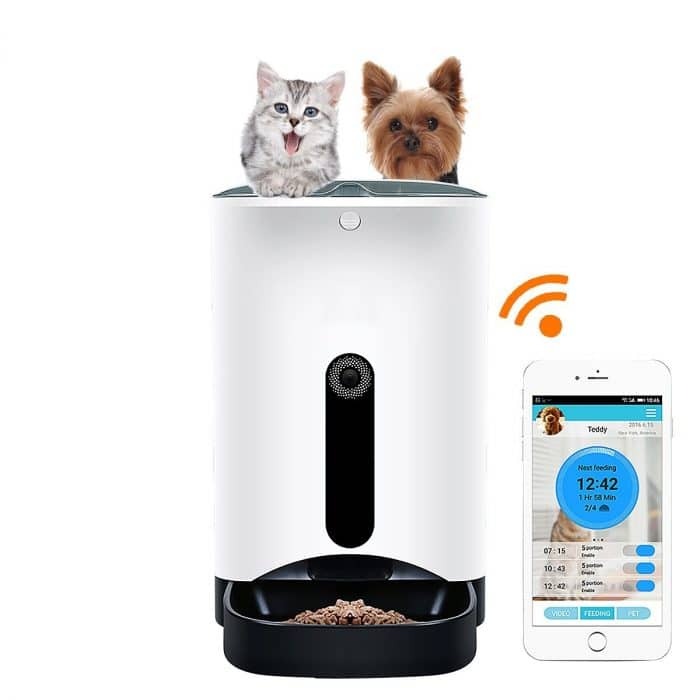 This pet feeder comes with 720p HD video monitoring, night vision, bark alerts (so you know when your pooch is distressed) and tosses dog treats upon command from your smartphone or tablet. It also looks great with a wood top (which is a huge bonus for pet owners like myself). 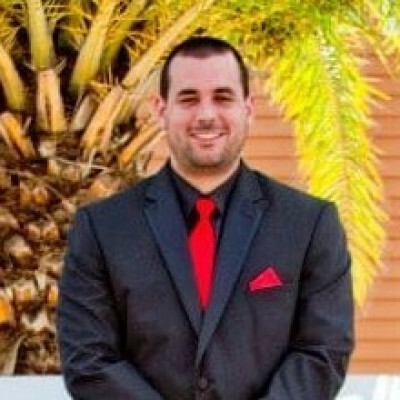 One of the best and unique features of this product is the video storage is easy to use so you can keep memorable moments for later viewing or sharing. We chose this product because it truly has it all, though we especially love the critter-proof feature. For those of us who live in single-family homes or for pet owners who typically place their food near a door or window, the critter-proof feature offers peace of mind while we’re away. The night vision, high-quality video capability, critter-proofing and photo features make this the pet feeder who owners who truly want it all. For those of us who are away from home throughout the day or travel frequently, it’s important to know that our pets are safe, secure – and fed! After all, our dogs and cats are quite often our own ‘fur babies’, so we are committed to keeping them protected 24/7, 365. Do you use smart pet feeders for your dog or cat? Share your thoughts with us on Twitter.